Having a CNA as a “home care” companion is an option that is frequently being turned to by elderly patients and their families. Often, medical care for elderly patients is more a matter of maintenance, enabling patients to retain the quality of life they’ve always known in their later years. One of the best ways of doing this is by employing a home health care worker to provide every day assistance and companionship. CNA’s, or Certified Nursing Assistants, are trained professionals who are certified under state and federal standards, to provide patients with the help they need to complete a variety of routine tasks. This service can be provided within a health care facility or in the patient’s home and includes assisting them with eating, dressing and walking, helping them in and out of bed and with toilet needs. While CNA’s who work in nursing facilities or hospitals can be responsible for several patients at one time, having a CNA as a “home care” companion can mean getting one on one attention. Unlike CNA’s in nursing facilities, home health companions may have extra responsibilities such as getting patients too and from appointments or helping them run errands or even doing some routine household chores. CNA’s will also be responsible for making sure that their patients get their medications on time and for checking vital signs. Often, the CNA will be the first one to notice any signs of distress and, therefore, the patient’s first line of defense in the case of an emergency. For elderly patients who lack mobility or are cognitively impaired, this can be particularly important. Equally important, though, when it comes to the CNA as a “home care” companion, is just being there for the patient, giving them a shoulder to lean on or a friendly ear to listen to their stories. One of the hardest things for most elderly patients is being alone and having a constant companion can make a tremendous amount of difference by simply bolstering the patient’s sense of security. For families of the elderly, this can be just as important. 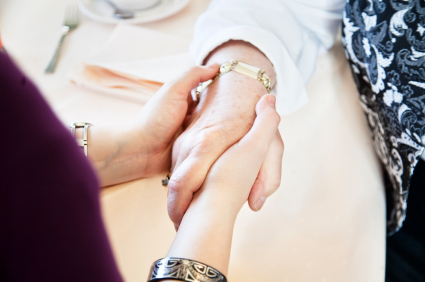 Taking care of an elderly parent or other relative can be extremely stressful and often having another set of hands, particularly one which they know is trained to provide health care, can be a major relief for family members, allowing them the down time they so desperately need. Not everybody is well suited to being a CNA, it takes a great deal of patience, compassion and caring. But having a CNA as a “home companion” who has all of those qualities can make all the difference in so many lives. Few other jobs can afford you the sense of satisfaction you can get from knowing you’ve provided hands on help to someone in need. If you have ever felt the desire to help others but don’t have the time or money necessary to complete comprehensive medical training, then consider becoming a CNA. It isn’t the most glamorous job in the world, but it is an extremely important part of the health care process. Nothing can take the place of a good CNA and for many CNA’s there’s no place like home.